Raymore Baptist Church or to the Silver Heights Special Care Home. Mary Elizabeth (Lowenberger) Jordan of Raymore passed away peacefully on September 12 at the age of 92 years. 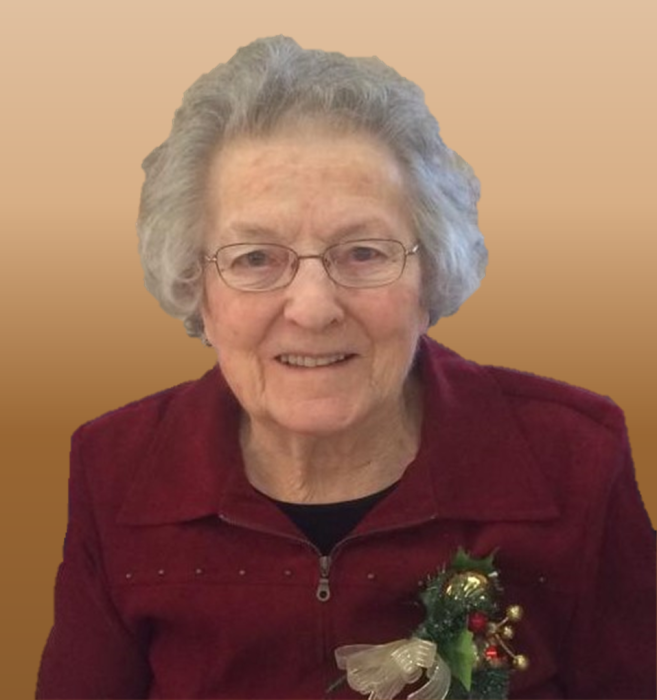 She will be lovingly remembered by her five children: Jerry (Ielene), Carol (Dale) Flynn, Brian (Donna), Beverley (Rickey) Deeg, and Dennis (Cheri); 18 grandchildren; and 33 great-grandchildren. She is also survived by her brother Arnie (Vicki) Lowenberger and sisters-in-law, Rose Jordan, Pat Jordan, and Lorna Jordan.Mary was born on October 2, 1925, and married Stan Jordan on April 14, 1946. They enjoyed 62 years of marriage before Stan’s passing in 2008. Mary was very active on the family farm – especially when they operated the dairy.Mary loved and lived life to the fullest. She so enjoyed gardening, cooking, baking, dancing and playing cards. She and Stan were dedicated hockey and fastball fans, driving for hours to cheer on their children and grandchildren only to have to drive home again to milk the cows!Mary’s kitchen was the gathering place for countless family meals whether it was a special occasion or simply a last-minute lunch. No one went home hungry! Many a card game was also played at the kitchen table – Mary’s favourites being Lambsy, Crazy Rummy and Three-spot.The family would like to extend a sincere thank you to the staff at Raymore Silver Heights Special Care Home for their support and care over the last three years. If friends/family so desire, donations in memory of Mary can be made to Raymore Baptist Church or Raymore Silver Heights Special Care Home. Thank you also to all of you here today and to those who have extended expressions of sympathy over the past week. There is an empty place in our hearts but Dad has her in his loving arms again.